Learn Programming is a free book aimed at readers who are interested in software development but have very little to no prior experience. 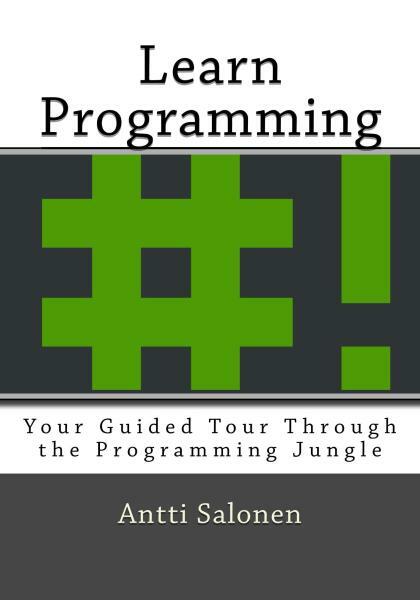 The book focuses on teaching the core principles around software development. This work is licensed under a Creative Commons Attribution-ShareAlike 4.0 International License. The code within this book is licensed under the MIT license. Download the book in PDF form. 2018-09-03: There’s a blog post on the philosophy of the structure of this book. 1.1.3. How does a computer work? 1.1.4. OK, but seriously, how does a computer work? Ok, but seriously, how does a computer work? © Copyright 2018, Antti Salonen. Created using Sphinx 1.7.5.